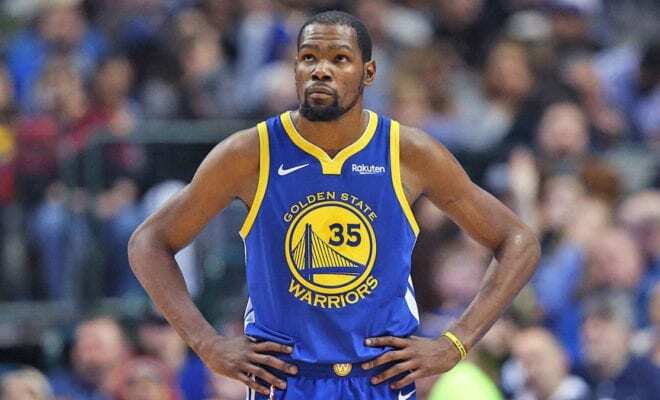 Golden State Warriors star Kevin Durant has proven that he’s one of the best NBA players ever, but he’s still constantly asked about his legacy. We all know why his career is questioned – because he left the Oklahoma City Thunder to join the most stacked team in NBA history. Now rumours have suggested that Durant will leave the Warriors in free agency to prove that he can lead a team to a title on his own. While Knicks fans hope that the rumours are true, Durant insists that he’s not looking for fulfillment in the NBA. 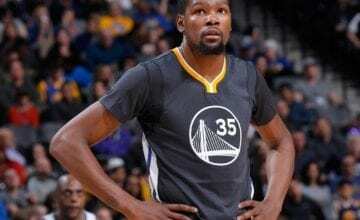 The bad guy image has never suited Durant, but he felt pressure to react after the backlash surrounding his move to the Bay Area. Let’s not forget that Durant’s bad boy phase included getting a tattoo of Tupac – the ultimate bad boy – on his leg. Durant has won two NBA championships picking up Finals MVP on both occasions. 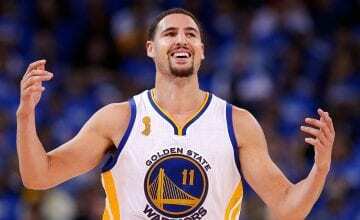 He’s been regular-season MVP, has 10 All-Star caps, four NBA scoring titles, a gold medal and was rookie of the year. He’s done it all – but he says that none of that drives him. Durant is no longer looking for fulfilment in his work, he finds it in his relationships and personal life. But that doesn’t mean he doesn’t appreciate what the NBA has done for him. 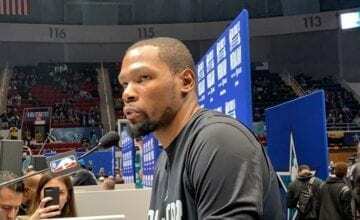 “I know the NBA helped me get there, but I’m not going to be forever indebted to the NBA because this is a 50-50 exchange,” Durant said. Durant is expected to opt out of the final year of his contract with the Warriors, worth $31.5 million, this summer. One thing’s for certain: whatever team he decides to join will be for his own happiness, not his NBA legacy.